Not every waterproof jacket is automatically a Gore-Tex jacket, even though the term Gore-Tex has become almost synonymous with waterproofness. However, there are also other membrane brands and designs on the market, which offer more or less effective protection again rain and wet. Functional textiles with an original Gore-Tex membrane, by comparison, are reliable, extremely waterproof and exceptionally breathable. All Gore-Tex waterproof jackets are equipped with special tapes to seal the seams from the inside. As a result, moisture cannot penetrate the material through the seams, even under high pressure, for example, when carrying a heavy walking backpack. To make hardshell jackets with an original Gore-Tex membrane easy for customers to recognise, Gore-Tex jackets always bear the Gore-Tex logo. Whether it's a hardshell jacket or Gore-Tex trousers from Mammut, The North Face or Norrøna, the Gore-Tex quality is always the same. As well as special membranes for outdoor shoes, Gore-Tex gloves and the windproof Gore Windstopper membrane, the company Gore offers various hardshell laminates for waterproof jackets. The most robust design is Gore-Tex Pro, which was formerly known as Gore-Tex Pro Shell in its previous form. Gore-Tex Pro is extremely durable and most suitable for Alpine use in mountaineering, climbing and skiing. As is it bonded to the robust outer material, the membrane between the outer layer and the lining is perfectly protected from damage. Considerably lighter and more breathable are the waterproof jackets and waterproof trousers with Gore-Tex Active. The lightweight design does without heavy outer materials, making it extremely compact and ultra-light. For high-perspiration sports like trail running or cycling, a Gore-Tex Active rain cover is therefore ideal. An Active Shell or Gore-Tex Paclite jacket is also ideal as a lightweight waterproof jacket when hiking or mountain biking. Classic Gore-Tex without any additional features like “Active” or “pro” is a very widespread variant of Gore-Tex that is used in outdoor clothing. It combines weather protection with comfortable breathability, high stability and low weight. In addition to outdoor clothing, the company W.L. Gore also produces membranes for work clothing and medical technology. Together with clothing manufacturers, Gore-Tex membranes are developed into laminates with different base materials. For example, Gore-Tex exists as a double or triple-layer laminate. The double-layer Gore-Tex laminate consists of a waterproof membrane and the outer material, which are firmly bonded to one another. The lining of the jacket, which also protects the membrane against damage, is not firmly bonded but loosely sewn into the jacket. 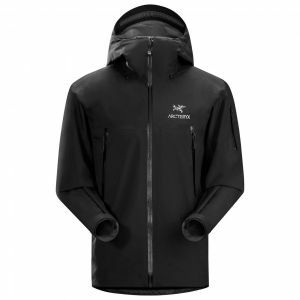 In a triple-layer Gore-Tex jacket, the lining, membrane and outer fabric are laminated into one fixed unit. Gore often uses the breathable and extremely comfortable Gore C-Knit lining technology to achieve this.